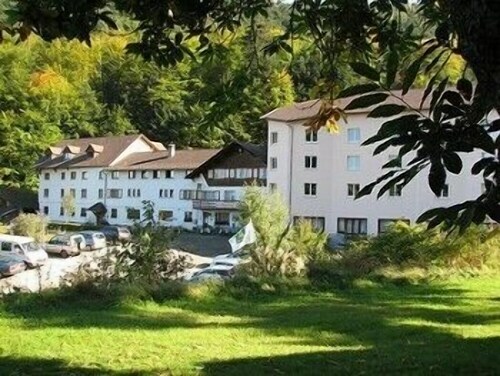 Situated in Murbach, this hotel is 1.6 mi (2.5 km) from Murbach Abbey and 2.9 mi (4.7 km) from Grand Ballon. Church of St Leger and Dominicains de Haute-Alsace Cultural Meeting Centre are also within 6 mi (10 km). Situated on a river, this historic property is 0.1 mi (0.2 km) from Murbach Abbey and 3 mi (4.8 km) from Church of St Leger. Dominicains de Haute-Alsace Cultural Meeting Centre and Alscace Ecomuseum are also within 12 mi (20 km). 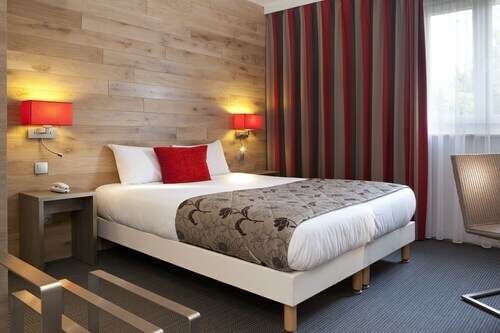 Located in the heart of Colmar, this hotel is within 1 mi (2 km) of Parc du Champ de Mars and Little Venice. House of the Heads and Theater Colmar are also within 15 minutes. Colmar Station is only a 3-minute walk and Colmar Saint-Joseph Station is 19 minutes. 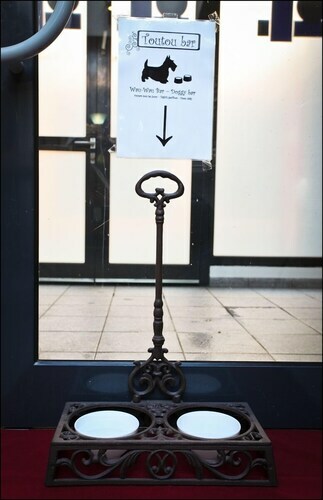 Located in Colmar Centre Ville, this hotel is within a 15-minute walk of Unterlinden Museum and Little Venice. House of the Heads and Theater Colmar are also within 10 minutes. Colmar Saint-Joseph Station is 15 minutes by foot and Colmar Station is 18 minutes. How Much is a Hotel Room in Murbach? Hotels in Murbach start at $56 per night. Prices and availability subject to change. Additional terms may apply. 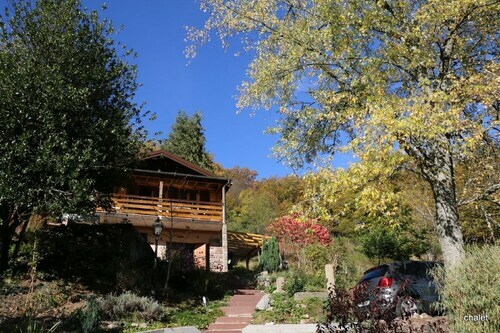 If you are dreaming about a vacation in Haut-Rhin and are searching for the perfect place to stay in Murbach, you'll find that there are an outstanding range of options to weigh up. If you'd like to roam in Murbach, Travelocity boasts around 12 luxury and affordable accommodations within a 6-mile (10-kilometer) distance of the town center. The Hôtel Domaine Langmatt, is an exciting base for the wise visitor due to the fact that it is the most centrally situated hotel choice in Murbach. 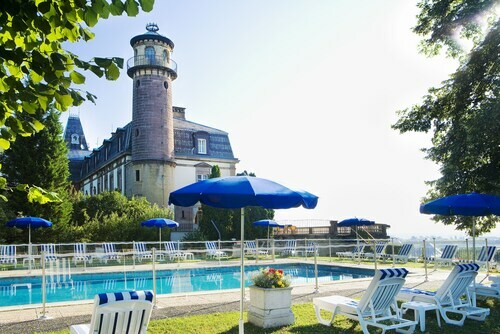 15 miles (24 kilometers) from the city center of Murbach, you will find the Les Jardins De Sophie. The Château d'Isenbourg is about 8 miles (13 kilometers) away. Other places to rest your head include the Hôtel Quatorze and the Les Violettes Hôtel & Spa. The extended Alsace-Lorraine district is definitely worth seeing as well. Alsace-Lorraine is known for rural landscapes and forests, and other interesting visitor destinations include traditional villages, old towns and war relics and monuments. Common things to do in this part of France include mountain climbing. Kaysersberg is 17 miles (27 kilometers) north of Murbach and is home to Kayserberg Castle and Albert Schweitzer Museum. If you're planning to spend any time in Kaysersberg, check out the rooms at the L'Hotel Chambard and Hôtel Les Remparts. 20 miles (34 kilometers) to the north of Murbach, you'll reach Ribeauville, which is home to the Le Clos Saint Vincent and Hôtel Barrière Ribeauvillé. The St. Ulrich Fortress and Centre de Reintroduction des Cigognes et des Loutres are more frequented places to experience should you visit Ribeauville. If you are really into sports and adore watching thrilling games you should definitely spend some time at Zenith Strasbourg, located 55 miles (85 kilometers) to the northeast of Murbach. For those who enjoy the idea of finding accommodation in the area, reserve a room in the Hôtel Kyriad Strasbourg or Hotel Kyriad Prestige Strasbourg Nord- Schiltigheim. Situated 30 miles (46 kilometers) outside downtown Murbach is EuroAirport. 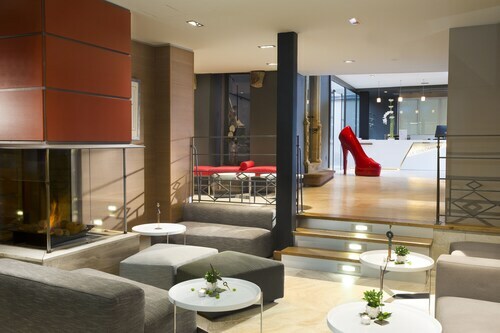 Base yourself nearby at Airport Hotel Basel or La Villa K & Spa. Great little hotel just a 10 minute walk from everything I wanted to do in Colmar. Room was comfortable and clean. Hotel staff helpful. Would stay there again. The room was clean and comfortable. The electric shades keep all light out of the room. The bed and pillows were comfortable. The bathroom was very nice. There was a jacuzzi tub, standing shower, and dual sinks. Dinner was good; it was French cuisine. The buffet breakfast was also good. It consisted of a variety of meats and cheeses, breads, croissants, jams, coffee, espresso, eggs, and cereals. The staff was pleasant. The staff of the hotel were helpful and spoke great English. The room air conditioning was a nice addition on a HOT July day. The "Little Venice" area is right around the corner as well as some great restaurants. We would definitely come back to this hotel! The hotel is almost up to American standard. The room is obviously smaller, but the bathroom is very spacious. 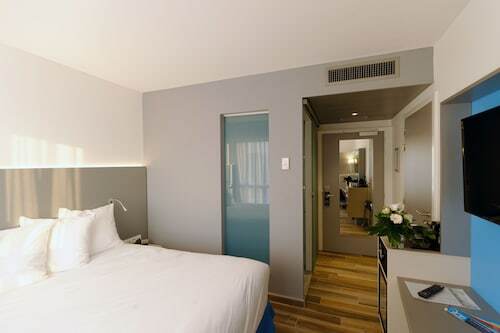 The room— and the hotel — is modern, nice looking. Great location with direct access to the old town. An underground parking is available, but keep in mind that the parking is made for European cars and is claustrophobic for Americans; your mini-SUV is a large car in Europe, and barely fits in the spaces. Hotel was completely satisfying except for one fatal flaw: the air conditioning is set to "8 degrees lower then outside temperature" rather than to an absolute value (like 20 degrees Celsius). In the summers, Alsace's weather can be very hot and humid, and that was the case 7/20-7/25 2015. With temperatures approaching 40 it was way too hot to bear... The staff gave us a fan, and we kept the window wide open at night, but still it was very, very tough. 3.0 Great location but off premise rooms are dated. This place had a great location, but the rooms off the main building were a bit dated and minimal. Not good for a long stay. The staff tried to upgrade me immediately when I checked in for an additional charge, but the price differential and rooms were not worth it. Was hard to get just a coffee in the morning. Perhaps they are not use to guests that would like a cup of coffee to go and not wanting to indulge in a full breakfast the first thing in the morning. ? ?